A little while I’ve holiday! Where wilt thou go my harassed heart? So longed for as the hearth of home? I love them – how I love them all! In accents dear to memory? Marked out the tracks of wandering deer. Emily Brontë wrote this poem in December 1838, during her brief spell as a teacher at Law Hill near Halifax. It shows that for her there was only one place for a holiday – the old, familiar Haworth. Whilst Emily would become increasingly attached to the Parsonage and its surrounds, becoming a virtual recluse after her return from a year in Brussels, she could find relaxation and stimulation whenever she needed it, simply by walking across the moors she knew so well. Out of all the Brontë sisters it was Charlotte who had the greatest yearning to travel. 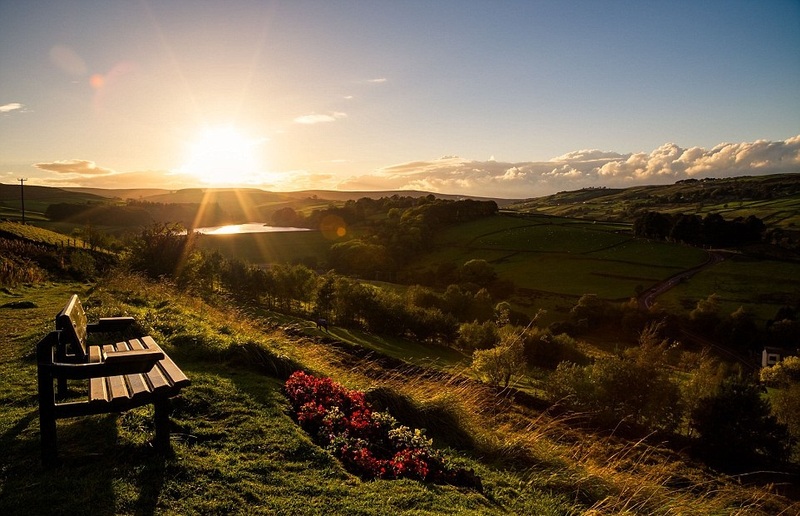 Even during the months and years that she resided at Haworth she would often journey to spend time with her friend Ellen Nussey at Birstall or at Hathersage, where her brother had been made vicar. These last sojourns proved particularly fruitful, as Hathersage was later recreated on paper as the Morton of ‘Jane Eyre’. Charlotte’s love of travel developed in childhood. All of the Brontë siblings were fascinated by the tales of exploration and adventure that they read about in their father’s newspapers and magazines – this after all was a time of great exploration, led by people like Mungo Jerry and Hugh Clapperton. These tales were the catalyst for the creation of the imaginary lands of Angria and then Gondal, whose little books were the result of a ‘scribblemania’, as Charlotte put it, that would later find release in the novels we love so much today. Whilst the other Brontës were happy to confine their adventures to the page, Charlotte wanted to explore in real life. This wanderlust was the reason that Charlotte jumped at the opportunity to head to Belgium at the beginning of 1842. Ostensibly travelling, with Emily beside her, to learn languages that would help attract pupils to their proposed school, she was really journeying to fulfill her dream of seeing new faces and places in a new country. This was one of the greatest moments of Charlotte’s life, and a perfect holiday experience for her. Whilst she was captivated by the living tide, the sea of humanity, it was a very different tide that charmed her youngest sister Anne Brontë. From her earliest days, Anne loved the sea. The crashing, roaring waves with their white topped sprays held the same place in her heart that the wild purple moors held in Emily’s. 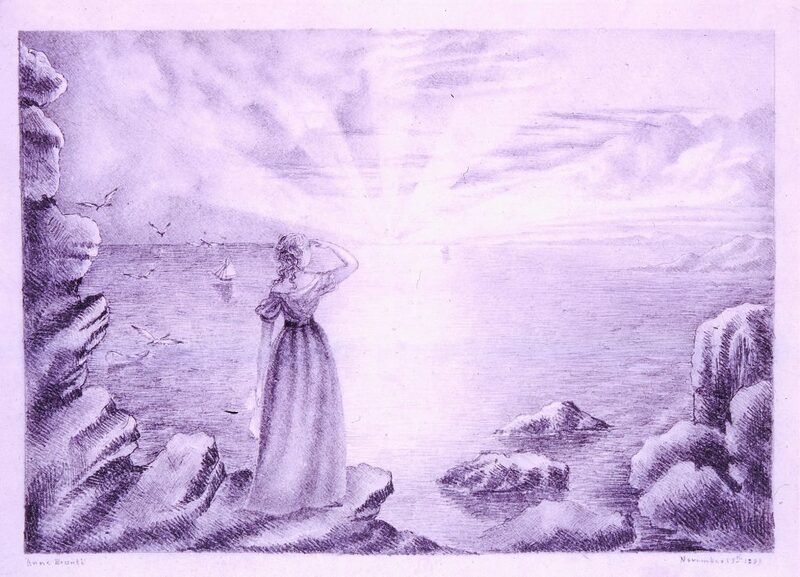 We get a glimpse of Anne’s love of the sea in her 1839 picture ‘Sunrise Over Sea’. In this picture the sea is a vision of beauty, gilded by the golden rays of the sun, and at its centre is a woman with her back to us. With her characteristic long curled hair, it seems that this is a picture of Anne herself. What is remarkable about this picture is that it was created before Anne had ever seen the sea, but a year later that would change. In June 1840 she made her first visit to Scarborough on the east coast of Yorkshire, spending around a month in Wood’s Lodgings in company with the Robinson family of Thorp Green, for whom she was working as a governess. She would make five such visits in all, and then one further visit in company with Charlotte and their friend Ellen Nussey in May 1849 – this was of course Anne’s final journey, as she had chosen to die in the place that meant so much to her. 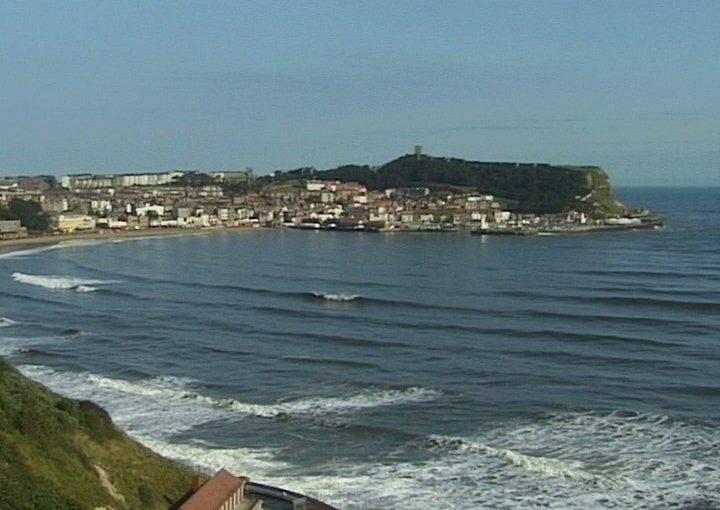 Just what did Anne Brontë love so much about Scarborough? She liked the exciting new spa building and the grand bridge crossing to it, she loved the regular musical concerts given in the town, but most of all she loved to walk the sands and look out to the vast expanse of the sea. As she did so, she imagined two other women looking out to the sea from a similar beach in their childhood: her Aunt Elizabeth and Maria Branwell, the mother she had never known. Aunt Branwell was immensely proud of Penzance, and we know that she often talked about it. For Anne, who shared a room with her aunt throughout her childhood, these tales were magical, and they gave her a glimpse into the happy childhood her mother had spent by the Cornish coast. Anne would never travel to Penzance, it was after all further from Haworth than Brussels was, but Scarborough became her own substitute for it. Anne’s love of Scarborough, then, was a symbol of her love for her aunt and of her longing to have known her mother. Anne Brontë’s idea of a holiday coincides with what many of us think ideal today – sand, sun and entertainment. August is the month when many of us take a holiday, and next week I will be taking a few days break myself. I’m not going to the coast, London is my destination. 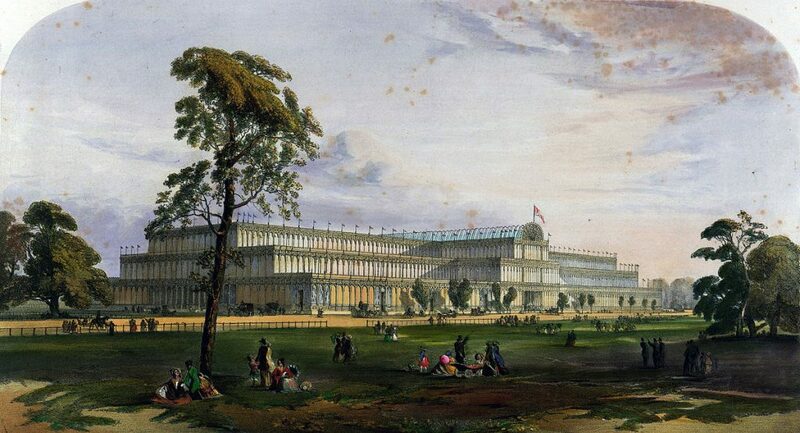 As I walk the streets I’ll be thinking of the journey Anne herself made there in July 1848. The noisy crowds may not be barred away in the capital’s bustling streets, but I’ll certainly find time to relax and smile (if not sing).